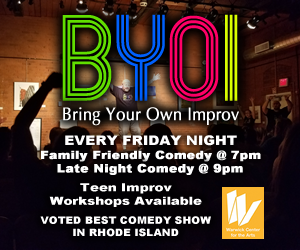 Rhode Island has a long and rich history, dating back to well before Roger Williams befriended Canonicus and was given the land that eventually became Providence (and before the native’s land was taken by settlers). Like most of America, not all of this history is positive; some of it is downright difficult to digest. 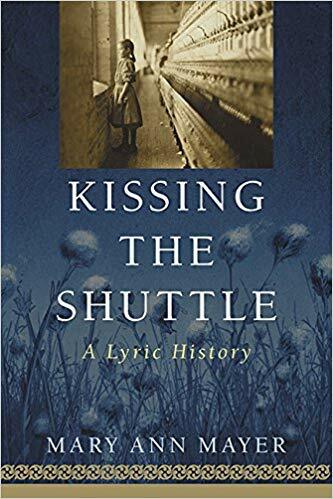 While author Mary Ann Mayer touches on some of this history in her book Kissing the Shuttle, A Lyric History, including Rhode Island’s role in the slave trade, the use of elephant tusks for piano keys (this happened in nearby Connecticut) and racism/lack of women’s rights, the main focus of her lyrical poetry is on health and working conditions in the textile mills on the Blackstone River in Pawtucket. She takes the reader back in time to tell a story of the underside of the industrial revolution in these 39 poems, accented with historical pictures and informative footnotes. The focus of this book is the industrial revolution and the impact that it had on the Blackstone Valley area dating back to the late 1700s. While the nation changed drastically due to the birth of manufacturing, this small pioneering location saw its workers, more than half of them children, suffer greatly from the poor working conditions. Tuberculosis started running rampant, causing many to die or to be sent to Wallum Lake Sanatorium in Burriville to be quarantined and hopefully get healthy. Mayer describes this horror show wonderfully with her poetry, bringing the reader into the destitute mills or depressing sanatorium. To put a positive spin on a dreary situation, Mayer does show the good that came from Tuberculosis (“TB’s Gifts”), though there is a dark ending to it. Mayer is a strong, well-rounded writer, which is full on display in Kissing the Shuttle. Her lyrical poetry gives an account as to what it was like to live in those times, working in the mills or recovering in the sanatorium. She combines this with historical footnotes that give tidbits as to what was going on. This combination gives a full and clear story told through many voices, including the fictional child, Aggie, who has the ability to keep looking on the bright side when things seem most grim. This is a well-researched book, which a quick look at sources and works cited section will prove. The research Mayer put into this shows in each poem, giving the reader a snapshot of what it was like to be alive back then, whether working in those conditions or being excited to have a Sunday off (“Sunday Afternoon”), and everything in between. She cited two poets, Martha Collins and Faye George, whose work served as models for the lyrical poetic history she created. I found myself enamored by the historical aspect of what I was reading. While I enjoyed the poetry and the emotional response I had to it (especially to the poems towards the end of the book), I couldn’t wait to read the footnotes and look at the pictures. I would reread the footnotes and articles to ensure I caught every bit of historical information I could find. I spent time starting at every aspect of the pictures, in all their beauty and sadness. This book is an absolute work of art that succeeds on many levels.